Gnó clódóireachta litirphreasa is ea Ponc Press, a úsáideann chló-inneall bunaidh pláitín Heidelberg 1955. 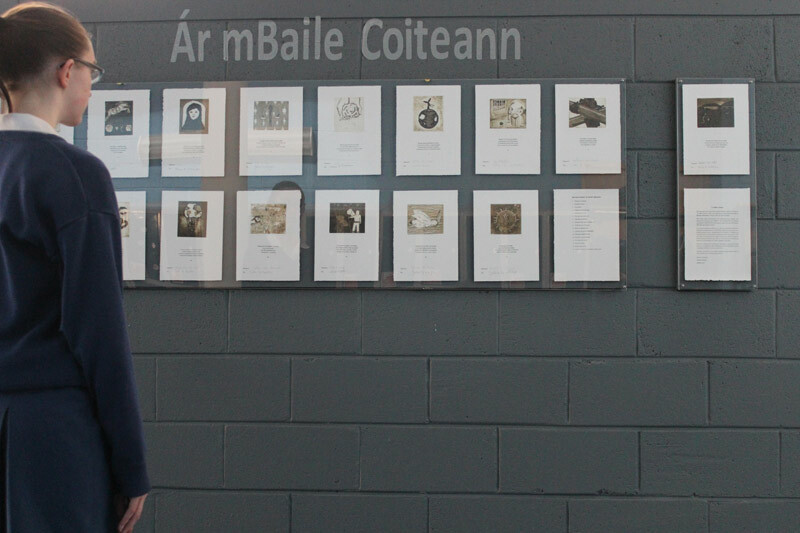 Set against a background of increasing interest in development issues ‘Ár mBaile Coiteann’ aims to highlight the Sustainable Development Goals by engaging students in a project through the medium of poetry and etching. 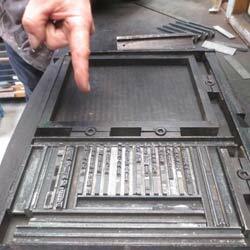 In total twenty seven students were involved: eighteen second year artists and nine second and fourth year poets. 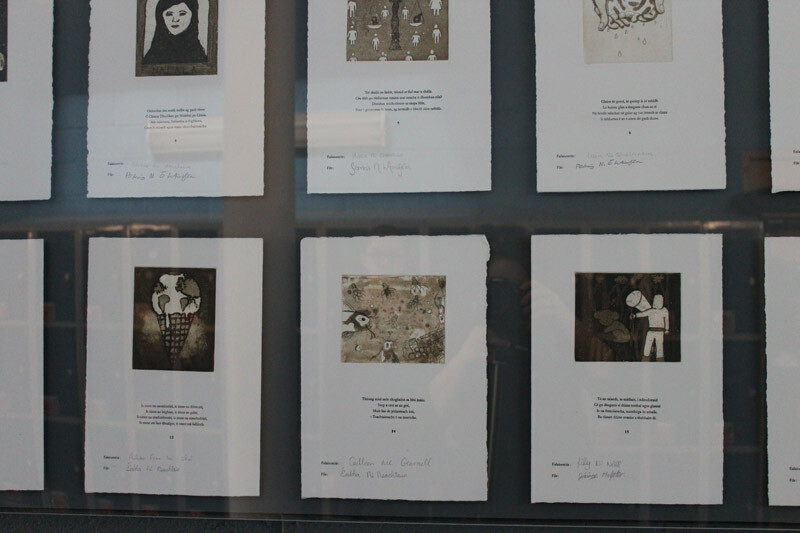 Over the course of two months students worked with Poet Bríd Ní Mhoráin and Printmaker Niall Naessens to create poems and etchings. While the SDG’s already have well recognised symbols this project supported students to engage personally with the goals to produce fresh work that reflected their interest and research while also demonstrating their unique understanding of the broad and complex issues involved. This work sought to actively engage participants in a conversation around global sustainability and to ultimately see their role as responsible global caretakers and citizens. A short film also documents this process. The completed work forms part of a permanent exhibition in PCD and serves as an introduction to development education for the wider school community. Anois agus ana-chuid suime á léiriú i gcúrsaí forbartha, cuireann an tionscanamh ‘Ár mBaile Coiteann’ roimhe aird a tharraingt ar na Spriocanna Domhanda um Fhorbairt Inbhuanaithe trí mheán na filíochta agus na heitseála. Fiche seacht scoláire a bhí páirteach: ocht n-ealaíontóir déag ó Bhliain 2 agus naonúr file ón Idirbhliain agus ó Bhliain 2. Thar thréimhse dhá mhí, d’oibrigh na scoláirí leis an bhfile Bríd Ní Mhóráin agus an deantóir priontaí Niall Naessens chun dánta agus eitseáil a chruthú. Cé go bhfuil siombail so-aitheanta ag na Spriocanna Domhanda cheana féin, chabhraigh an tionscnamh leis na scoláirí dul i ngleic leis na spriocanna seo ar leibhéal pearsanta, ionas go mbeadh saothar úr acu bunaithe ar a dtaighde agus a spéis féin agus ar a dtuiscint féin ar na ceisteanna leithne agus casta seo. Bhí sé mar aidhm ag an tionscnamh seo comhrá a chur ar bun i measc na scoláirí faoi inbhuanaitheacht domhanda agus a chur ar a súile dóibh gur saoránaigh agus airígh iad a bhfuil freagracht acu i leith an domhan a chaomhnú. Léirítear an proiséas a bhí i gceist leis an tionscnamh i scannán gairid. Tá an saothar seo ar taispeáint go buan i bPCD agus ar fáil mar thúsphointe eolais ar an oideachas forbartha do phobal na scoile ar fad. Deineadh an tionscnamh seo le cabhair fhlaithiúil ó: Éigse Éireann; Páirtíocht Chruthaitheach agus WorldWise Global Schools. 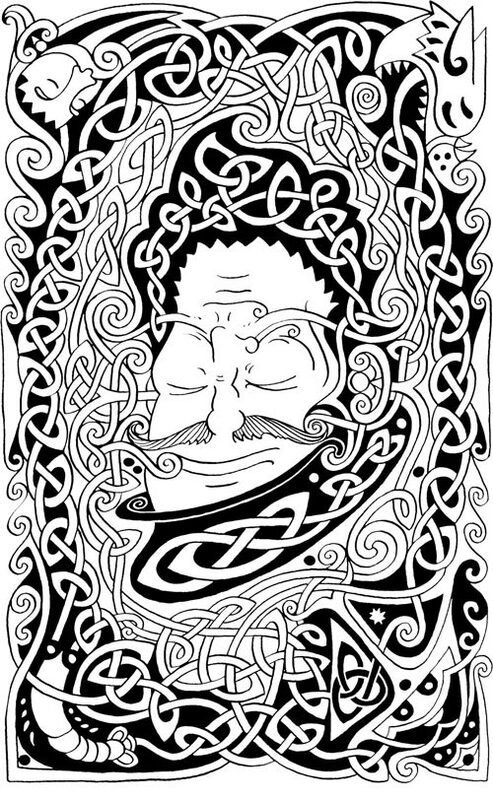 Unde Scribitur is a unique publication celebrating The Song of Amergin. Five Ireland Professors of Poetry, Eiléan Ní Chuilleanáin, Harry Clifton, Michael Longley, Nuala Ní Dhomhnaill and Paula Meehan have written their individual poetic responses to Amergin’s poem. These widely varying responses bear witness to the continuing power of the Amergin poem as part of Ireland’s foundation myth. 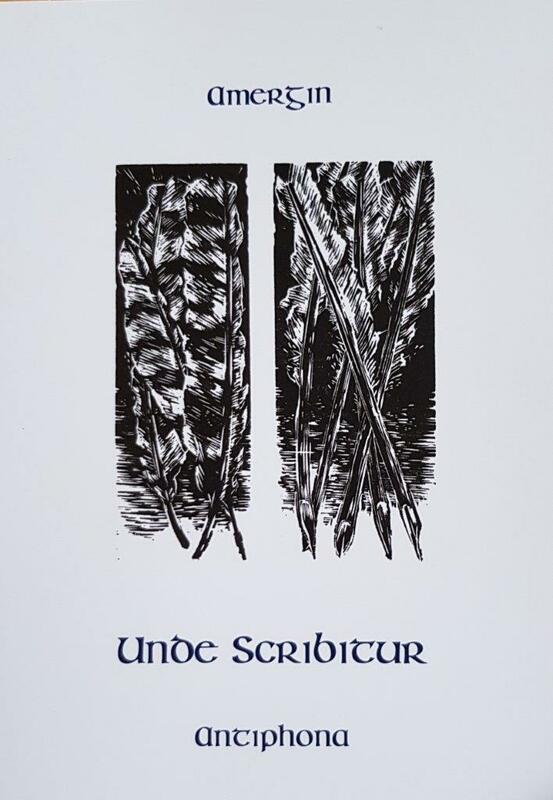 The poems, together with the original medieval Irish text, translated into English and modern Irish by Paddy Bushe are illustrated with original wood engravings by Holger Lonze and Karen Hendy. It will undoubtedly become a collector’s item. In Corca Dhuibhne the landscape and the language work together and go very deep. We asked a number of writers who were either born here, or live here, or whose hearts are here to submit poems which reflected this depth and unity. We have called it, simply enough, Two Tongues. On the peninsula the two languages, Irish and English coexist and feed each other. 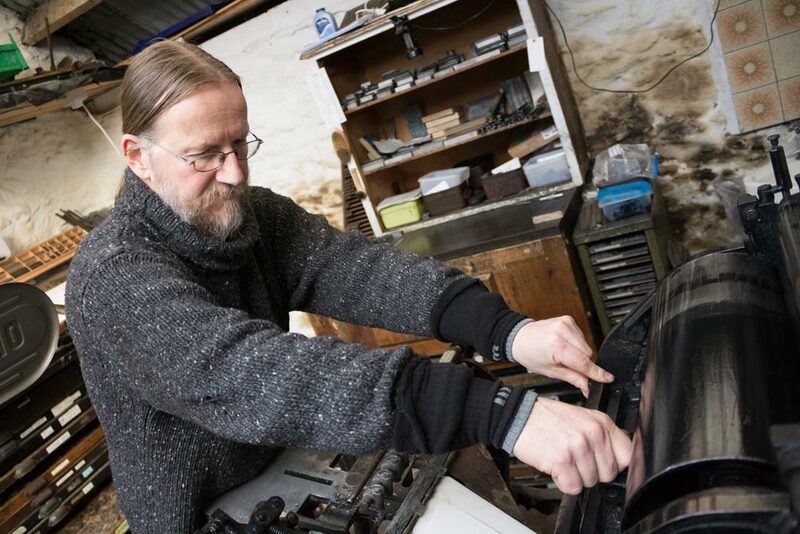 Many local poets whose birth language is Irish are equally at ease in English, and many of those among the English-speaking incomers – even those who don't yet speak Irish – have found that their own language is thoroughly coloured by it. I gCorca Dhuibhne téann an dlúthbhaint idir an tírdhreach agus an teanga i bhfad siar. D’iarramar ar na húdair a rugadh anseo, a mhaireann anseo, nó gur anseo atá a gcroí, dánta a chur chugainn a léireodh an dlúthbhaint sin. ‘Dhá Theanga’ a thugamar ar an gcnuasach. Labhraítear idir Ghaeilge agus Bhéarla ar an Leithinis, agus neartaíonn siad a chéile. With 10 full-page illustrations and 5 vignettes by Bob Ó Cathail and 1 illustration by Rob Payne. Danny Sheehy’s entertaining essay is an extract from Iomramh Bhréannain 2011 (An Sagart 2013), translated into English by Camilla Dinkel. It describes Danny’s pilgrimage to Iceland on board the yacht Ar Seachrán with an assortment of musicians and scholars, following the route taken by St Brendan and his monks and recounted in the ninth-century document Navigatio Breandanii Sancti Abbatis. This modern version of the historic voyage is equally full of incident, though arguably more believable, and ranges from the devout to the scatological. The text is greatly enhanced by the witty and ingenious illustrations of Domhnal Ó Bric. Hand typeset in the historic Golden typeface, printed on art paper and handbound by Sandra Landers, this is both an entertaining read and a true work of art. The signed and numbered limited edition of 200 copies includes CDs in Irish and English, read by the author, with a soundtrack by Paul Kirk. Clóbhuaileadh an saothar ealaíne seo ar an gclólann sa Daingean ag na foilsitheoirí Ponc Press. Foilseachán teoranta de 200 leabhar atá láimh dhéanta. Leabhar dátheangach agus léaráidí le Domhnal Ó Bric. Paul Kirk stiúrthóir na ndlúthdhioscaí, le Mike Venner, agus is í Sandra Landers a bhí i mbun deartha agus ceangailte. 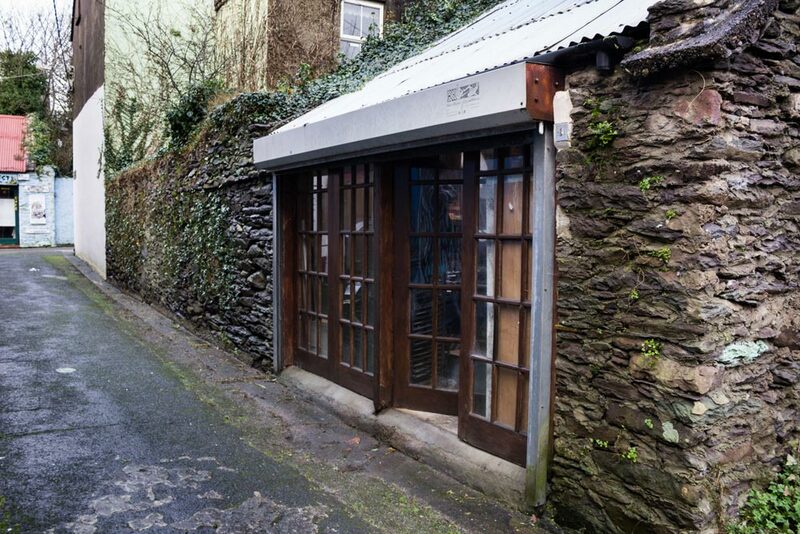 Áine Ní Chíobháin is a visual artist based in Dingle who makes artworks inspired by her surroundings. She has an honours degree from Crawford College of Art, Cork. 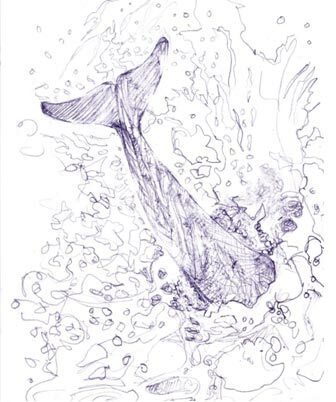 Her artwork is in the collections of HETAC, CIT and Kerry County Council, Ireland. She was recently selected for RHA Annual & Impressions Biennale and is the recipient of numerous bursary, project, and residency awards. Píosa aithrithiseoireachta as Gaelainn agus Béarla is ea Labhraíonn Fungie – Fungie Speaks a dheineann ceiliúradh ar dheilf cáiliúil an Daingin. Tá sé eisithe mar eagrán teoranta sínithe ag Ponc Press atá ina litirphreas bunaithe i nDaingean Uí Chúis, le léaráidí ón ealaíontóir áitiúil Áine Ní Chíobháin. Sampla álainn atá sa leabhar ar fhoilsitheoireacht ealaíonta. Is é seo an t-ochtú leabhar filíochta ó pheann Dairena. 'Sé dúirt Liam Carson, Stiúrthóir IMRAM fuithi: ‘ Tá a cuid dánta ag tarraingt as tobar an dúchais agus tá an tseantraidisíuín, béaloideas agus stair áitiúil lárnach iontu – ach ní h-ionann sín agus a rá go bhfuil Dairena ag amharc siar; tá a saothar úrnua agus nua-aoiseach amach is amach. Tá na dánta snasta, críochnaithe, déanta. 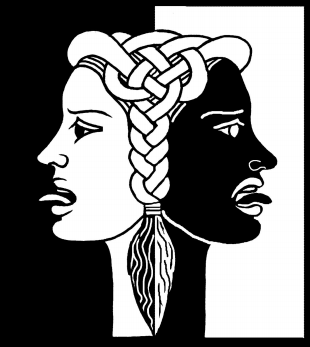 Níl focal amú le fáil iontu, tá siad teann, tá siad daingean ar na cosa, seasann siad ar an leathanach”. tionscadail agus tréimhsí cónaithe bronnta uirthi. Now available in a non-letterpress edition including CDs of Dairena’s performance in English and Irish with music by Eoin Duignan. 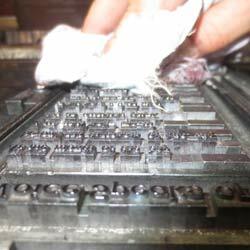 Continuing the fine tradition of high quality letterpress printing for which the press is known. 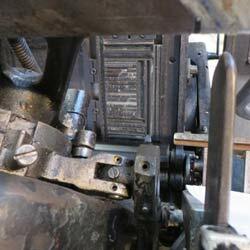 Ponc Press is a letterpress printing business using an original Heidelberg 1955 Platen Press. 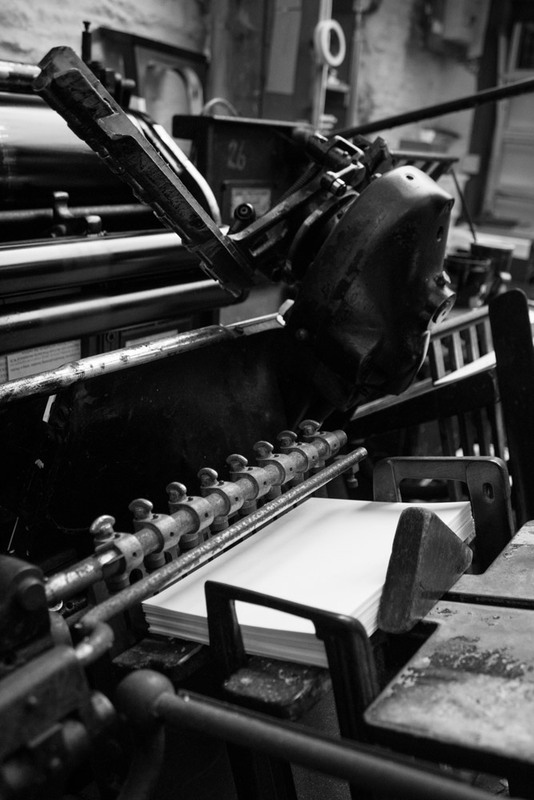 Bhíodh Púca Press mar ainm ar an studio roimhe seo, agus Hawthorn Press roimhe sin arís. 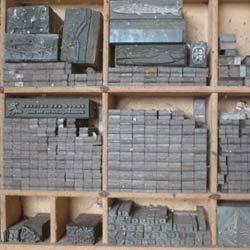 We plan to continue the fine tradition of high quality letterpress printing for which the press is known. Ghlac na húinéirí reatha seilbh ar an gclólann i 2014 agus bhaisteadar Ponc Press air. foilseacháin le líon teoranta cóipeanna. morbhilleoga le líon teoranta cóipeanna. teastais agus cártaí ar ordú speisialta.